The Ray Burton Welcome Center is officially opened. 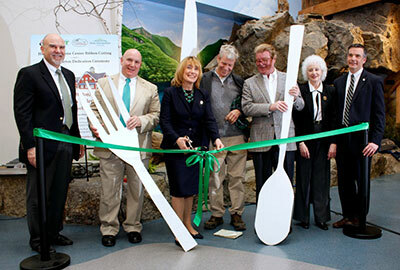 New Hampshire Governor Maggie Hassan joined with state officials and private partners in dedicating the northbound Welcome Center in Hooksett in honor of late Executive Councilor Ray Burton. The facility honors the longest-serving Executive Councilor in New Hampshire history. Burton was a long-time supporter of the state’s tourism industry and was committed to promoting the state and serving the people of New Hampshire. Vice President of the Newport Opera House said that tickets for the Wizard of Oz are going fast. Hoyt says there are only 500 left of the 1,500 for the three performances. The Opera House will become the Yellow Brick Road leading to Oz for the presentation on April 10, 11, and 12. Newport will be moving its town meeting to the high school in order to accommodate rehearsals. The play is adapted from the movie and all the familiar songs, and special effects in addition to an added number called Jitterbug. 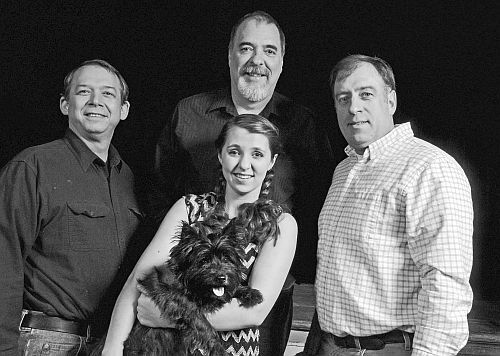 Tickets can be ordered on line at http://www.newportoperahouse.com or by phone at (603) 863-2412. At a recent public hearing, The New London Selectmen accepted a bequest from the Estate of Mary D. Haddad of funds. The over $750,000 is to be used for the purchase, preservation, and maintenance of open land, park land, forest land and trail or paths for the benefit of the citizens of New London. The Board gratefully accepted the bequest. Mary D. Haddad was a town clerk for New London who died in 1985.